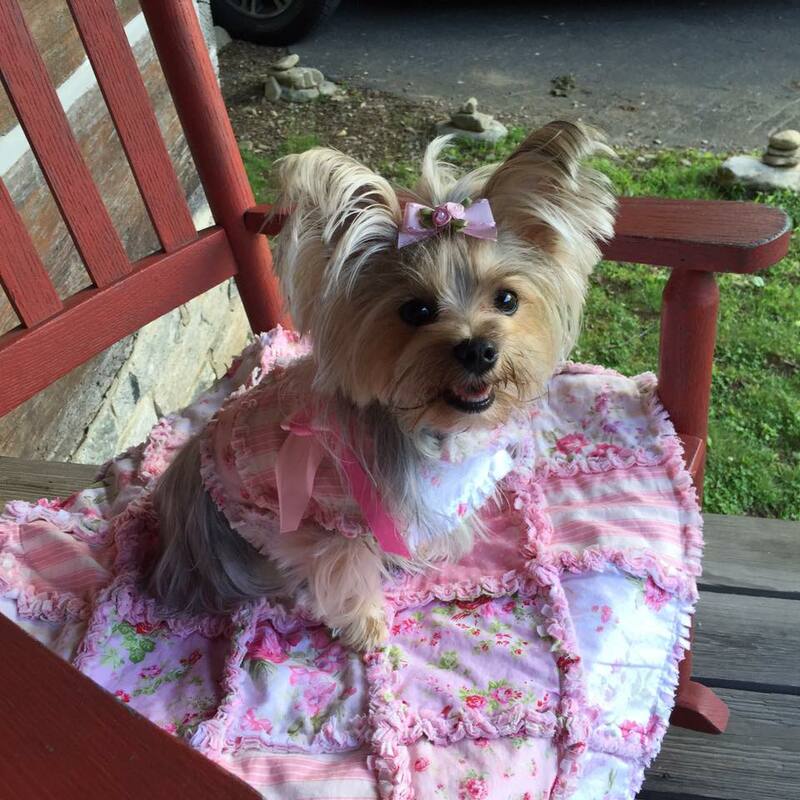 Morkies are a cross between a Maltese and a Yorkshire Terrier, with the best traits of both breeds. A Morkie is a very small dog; Affectionate and intelligent, these dogs make excellent family or companion pets. Find a Morkie puppy for sale and you find your best friend! You can find a Morkie puppy for sale from a Morkie breeder at Morkie World. The Morkie is a distinctive blend of the two. The Morkie has a small, compact frame covered in a long, silky coat that usually comes in shades of tan, black & tan and tri-colored (black, white & tan); some Morkies may even retain the Maltese’s white coat. It has a medium-sized head with a rounded skull, hanging ears, short muzzle, dark nose and dark eyes. Like its parents, the Morkie may just look super-cute. Though a Morkie enjoys snuggling, the Morkie is not your typical couch cuddler, and it definitely an independent dog. The Morkie often needs a little privacy to recharge. Yorkie Maltese mix breed puppies, love you unconditionally. If you scold them, they’ll have their feelings hurt, but they’ll be back to you in an instant loving on you. The Morkie craves attention from every family member—if left alone for long periods of time it may get bored, destructive or depressed. A nice walk, a squeaky-toy game on the carpet or an afternoon snooze with its owner will always suffice. And if you’re in the market for a compact watchdog, consider the Morkie: It’s protective and fearless. Morkies are excellent city dogs, adjusting well to small spaces and different types of people. Whether you live in the city or country, make sure your Morkie has a nice daily stroll and some time to run off the leash in a yard, park or other protected area. The Morkie should be groomed regularly, including daily combing and brushing. When letting the hair grow, consider tying its head hair in a rubber band to allow for better vision. The Morkie can live as long as 15 years. Being a hybrid breed, it suffers from few genetic health issues. Inspect its ears, feet and eyes for signs of infection, and schedule regular health visits based on a veterinarian’s advice.